South Africa scored 419 runs in the first innings followed by 258 for the loss of 9 wickets in the second when their innings was declared. England responded well by hammering 425 runs in their first innings and scored 130 with six wickets in hand in the second when the play came to an end. 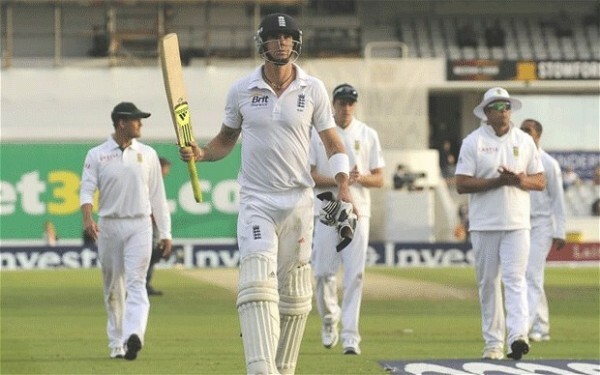 Kevin Pietersen (England) was declared ‘Player of the match’ for his all round performance in the game as he smashed a ton in the first innings and held four wickets in the encounter. 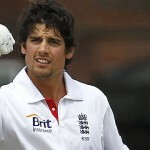 The second Test of the three match series, concluded on Monday, August 6, 2012, at Headingley, Leeds. Earlier, the Proteas started their second innings on the fifth and final day at 39 after 17 overs with all their wickets in hand. Jacques Rudolph and Graeme Smith were at the crease with 21 and 17 runs respectively. Both of them played brisk cricket, scored boundaries as and when available, as the rain stopped play at 11.40 and early lunch was taken by the two teams. The visitors had reached 76 in 26 overs without any loss by then, Rudolph was holding his end with 47 while Smith was assisting him well with 27 runs. Rudolph completed his fifty after the lunch interval on the second ball of the 28th over with a four. 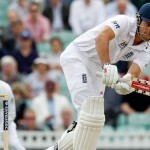 The run rate was picked up by the two batsmen and the first hundred of the innings appeared on board in the 33rd over. Smith geared up with a couple of fours in the 36th over and the first wicket partnership contributed 120 runs. Andrew Strauss introduced Kevin Pietersen in the 38th over and he instantly got rid of Jacques Rudolph on the second ball after he had scored 69 runs. Graeme Smith attained his half century in the 39th over as Pietersen struck back again by removing him for 52 runs. The second wicket fell at 129 as Hashim Amla and AB de Villiers got together in the centre and the latter got 11 runs in the 45th over with two fours. The boundaries were scored frequently, the score was enhanced to 182 when Amla was gone and became the third victim of Pietersen for 28 runs. AB de Villiers was the fourth batsman who went back to the pavilion for 44 as the English bowlers took command of the game and the wickets started crumbling. South Africa managed 258 runs in 67.4 overs with one wicket in hand when Graeme smith declared the second innings. Stuart Broad was the most lethal bowler and grabbed five wickets, Kevin Pietersen got his career best 3-52 whereas James Anderson claimed one wicket. England was given a target of 253 runs in the possible 39 overs by South Africa and the hosts opted to go for attack by sending in Pietersen to open the innings with Alastair Cook. The first initiated the innings in style by punishing Morne Morkel for three fours in the very first over and the second got five runs in the next over. Pietersen tried to keep up the pace of scoring but was caught by Imran Tahir off Vernon Philander for 12 on the first ball of the fourth over. Andrew Strauss joined in with Cook, the first fifty of the innings was scored in the 10th over and the duo added another 20 runs in the following three overs. Strauss was caught and bowled by Jean-Paul-Duminy for 22 in the 14th over and Cook was caught by Rudolph at short extra cover off Dale Steyn for 46 four overs later. Matt Prior was run out for just seven runs and England was stranded at 4-106 in 19.4 overs as Jonathan Trott and Ian Bell took responsibility and did not play any rash or loose shots. England managed 130 runs for the loss of four wickets in 32 overs when the play was called off by Graeme Smith, Trott and Bell were unbeaten with 30 and 3 runs simultaneously. 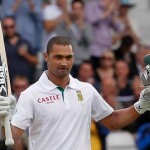 Vernon Philander, Dale Steyn and Jean-Paul-Duminy were the successful bowlers of South Africa with one wicket each. The second Test ended in a draw and South Africa is leading the three Test series 1-0. The visitors require winning or drawing the third Test to clinch the no.1 title of the ICC Test Championship.